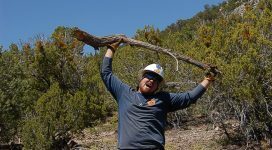 The Urban Conservation Crew (UCC) has been surrounded by dense stands of willows and other species as they dig and chop and prune their way through the Rio Grande bosque in the southern most portion of Corrales. They have been ripping out ravenna grass, also known as elephant grass, an invasive species first detected in the Middle Rio Grande Valley in the 1990s. It’s big grass that can grow to 5 feet tall. When its flower stalks expand it can stretch up to between 8 and 12 feet. Left unchecked, ravenna grass can choke out native species, so the eight-member UCC pushes on through the heat and the tangle, digging, chopping and pruning, leaving piles of uprooted elephant grass in its wake. 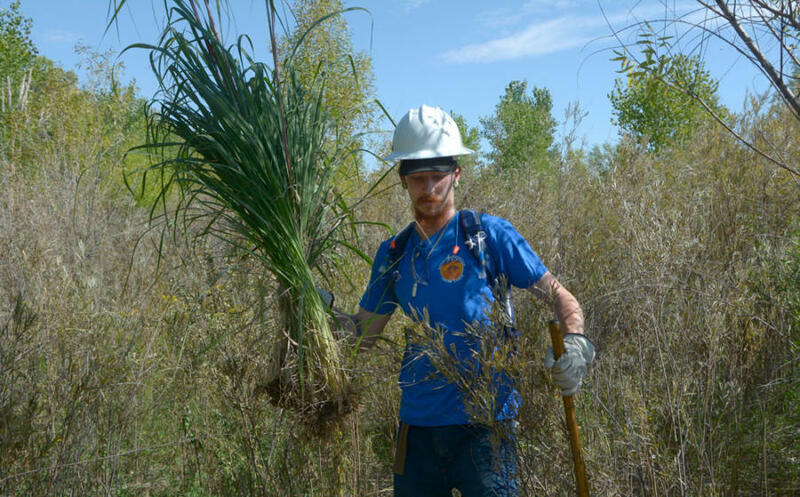 Urban Conservation Corps crew member Seth Heitman removes ravenna grass from the Corrales bosque. 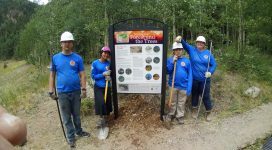 Conservation Corps members who complete their work seasons receive a stipend designated for education. Heitman wants to use his to go to welding school.